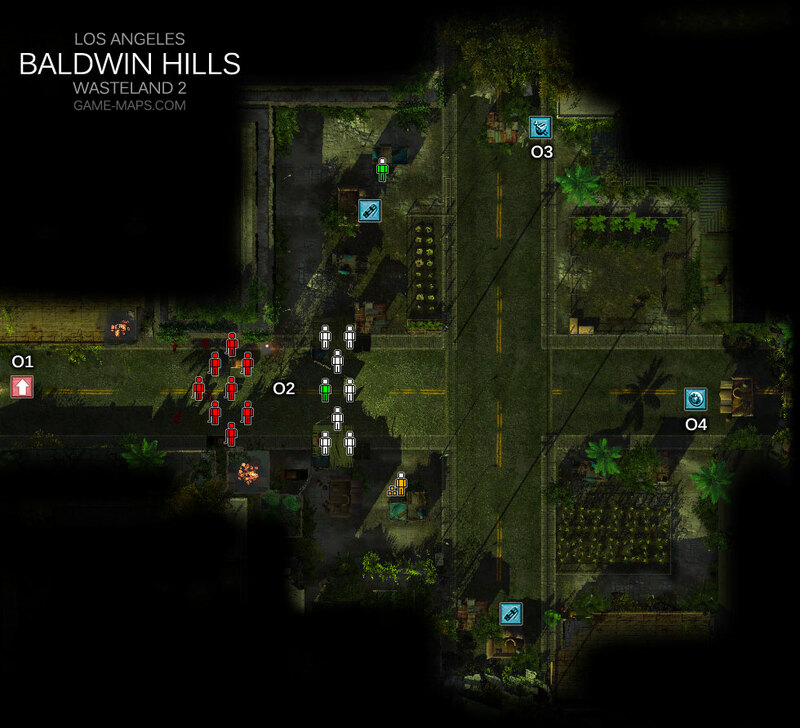 Baldwin Hills Walkthrough - Wasteland 2 Video Game Walkthrough with Maps & Game Guide. Quests, NPCs, Items, Secrets & Hints, Enemies, Skills to Use. 02 A fortified village with walls made of corrugated tin and covered in graffiti. Over the walls you can see that some of the shacks seem to be on fire, and you can hear fighting coming from the main gate which is to the north. Disguised members of Children of the Citadel pretends to be Desert Rangers. Kill them. NPCRoger Lee Explain to residents of the city that you are a real Desert Ranger. If you sucess Roger will help you with Civility Enforcers who come to help. Mannerite Civility Enforcers Explain them that you are innocent. Roger Lee will supports your words. Now your relationship with Anger Oracle much improved. Item 761 Metro Bus Schedule Item from Toaster.